Korean soldiers named singer-songwriter IU as their most preferred counselor among celebrities to talk over life in the military. Recently, Defense Media Agency's media outlet Kookbang Ilbo conducted a survey asking, "Which celebrity is most likely to listen to every small concerns about army life?" 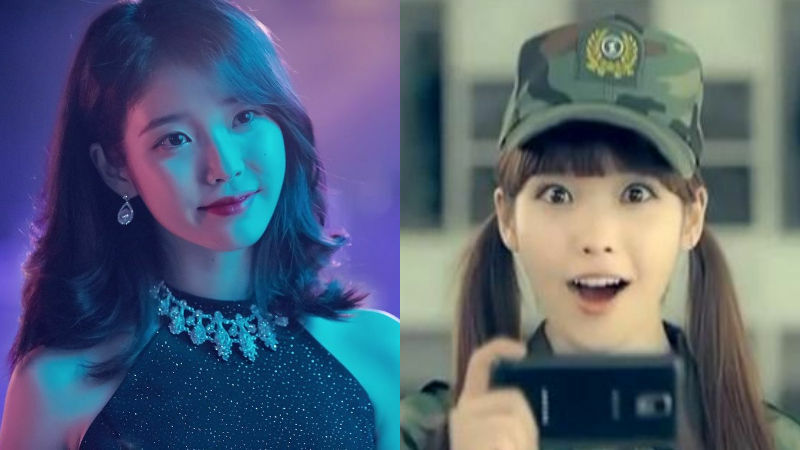 In total of 430 soldiers picked the most preferable celebrity counselor from October 22 to November 12, and the result revealed that IU topped the survey with 14.4 percent of the vote. One soldier commented, "Most soldiers would have experience of being comforted by IU's songs, and she is known to be a celebrity who is sociable and easy-going." Other than IU, entertainer Yu Jae Seok ranked at #2 with 11.1 percent of the vote, girl group Red Velvet's member IRENE at #3 with 9.3 percent of the vote. #4 was actress Park Bo Young with 7.4 percent, followed by singer PSY (#5, 6.3 percent) and singer/actor Lee Seung Gi (#6, 5.8 percent).